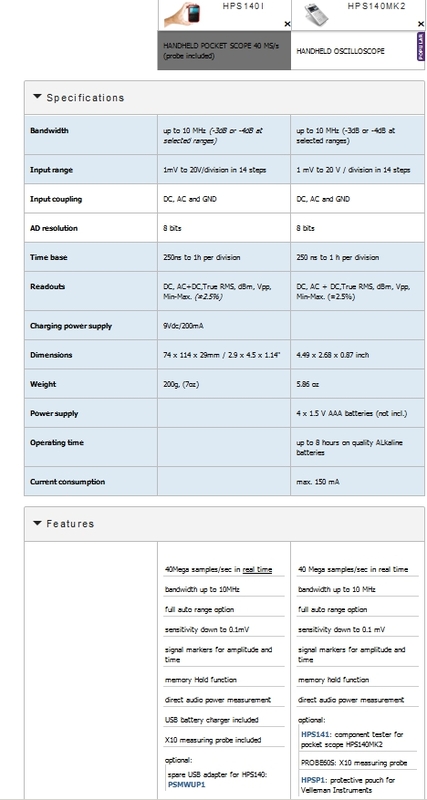 What are the exact differences between the Velleman HPS140i and the HPS140MK2? 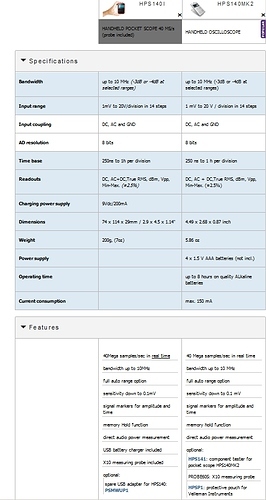 The main differences between the two is that the HPS140i runs on internal battery and requires a 9V charger, while the HPS140MK2 runs on 4xAAA batteries. What I don’t know if you can use rechargeable batteries on the MK2 and charge them right away in the unit, that would be awesome. Also, I think the screens are different, one is TFT or LCD with backlight, and the MK2’s is OLED-like, since there’s PWM for screen brightness that you can see flickering when you record it with a camera.